Hi there! Welcome to the Jaded Blossom Stamp Release! If you came from Abby, you are in the right spot! If you just happened to hop along and want to start at the beginning click here! These new sets are a lot of fun and are SUPER cute! I had a lot of fun with the Monster Mash set that I made a couple of things to share with you! I used the Monster Mash set, Flag Die, and Clear Boxes from Jaded Blossom! Paper is from my stash and the monster is from the Silhouette store! Your Next stop is Kate! Awww...Kim these monters are totally adorable! Love the colors you chose for the card...they're perfect! Fabulous job this week with all the sneaky peeks! what a cute little monster, I like how each of them is completely different, it give them each their own character. Great projects! So cute. 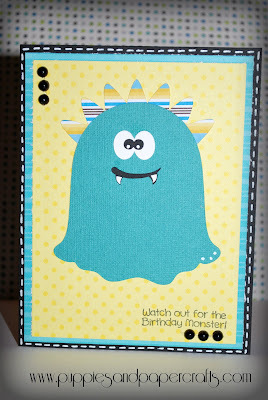 Love the colors and the Faux stitching on your card. Those monsters are adorable. Your monsters are adorable and the stamps are fab. I need to invest in more stamps. Love your hop. The cutest monster EVER!!! 100% adorable projects! Too cute. Love the monster. Ahhh, this is so cute!!! Super cute projects, thanks for sharing. Very cute!! Love that treat box! Too cute! Can't wait to use these stamps for Halloween treats! Those monsters are really cute! Great projects all week. TFS. I just love this monster set! Your showcase of these scary little creatures are very yik-able. These are so adorable!!! 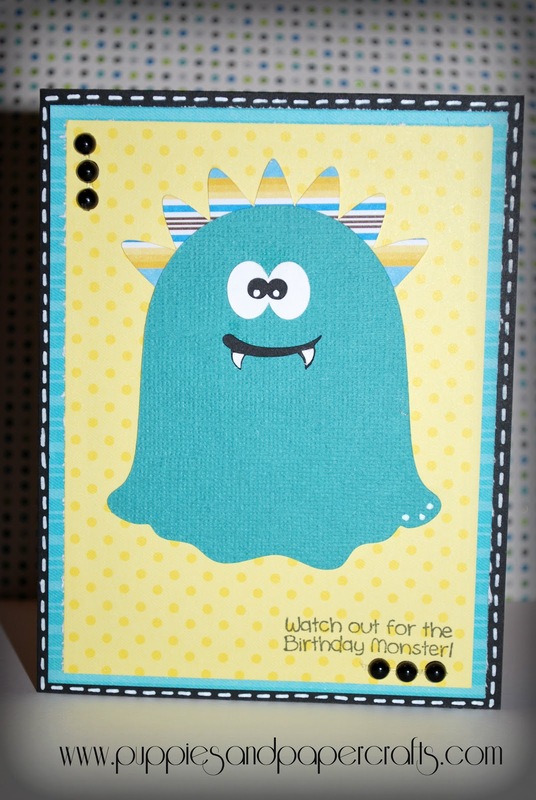 love the moster cuts and of course those stamps! 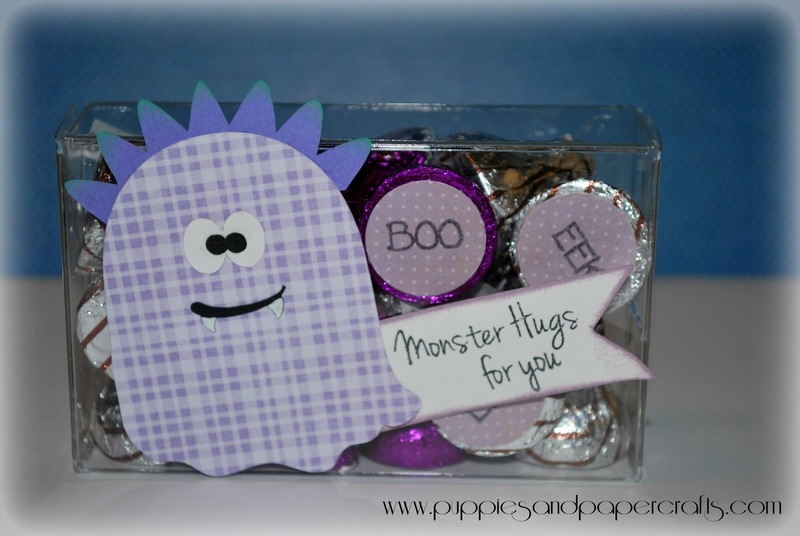 lvoe the monster treats and how you used the small words for the kisses perfect !!! super CUTE!!! love the projects!! Super cute projects those monsters are adorable!! What adorable little monsters! And super cute kisses. Good job, Kim! Awwww! These are too cute to spook! TFS Kim, have a great day! Cute. Loving all the monsters!! So very cute! Great job. Super cute Monster projects Kim!!! You must love that cute monster lol. Loving both projects such a card girl but I love your favor box. love the little ghost box!